Wild Heart Music is a music program designed to nurture, inspire and excite the young people on northern Vancouver Island. Come and experience the joy of singing together. This choir is a safe and encouraging environment for people of all levels of ability and musical experience to sing in a group setting. All songs will be taught by ear, with supplementary recordings, lyrics and sheet music provided. No singing experience necessary. 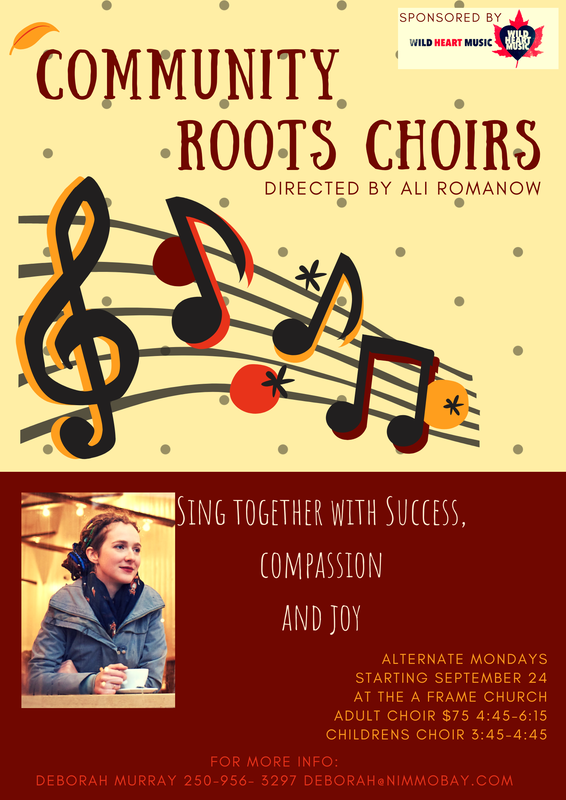 This ensemble is a challenge by choice environment where all levels of singers are encouraged to come and join in. Drawing inspirations from around the world, we will explore ensemble music making in a supportive environment through the traditional folk music of many cultures. ​We will explore ensemble music making in a supportive environment through the traditional folk music of many cultures.